Blogging is a highly effective marketing tool. You can easily create product awareness and get clients and customers to interact with each other. It is also a great way to add new content to your website which can help your sites’ search engine rankings. Frequently edited and updated sites receive higher rankings in search engines than those that have been overlooked by the owners for ages. Below are some tips on blogging. • Make sure your blog post is well written. Long posts tend to get dreary and they are not ‘catchy’ enough for people to sit and go through them. • Update regularly. Ideally, blog 3-7 times a week. • Be entertaining; try light-hearted humor, without being derogatory. • You don’t have to stick only to text. Add videos and photos for an interesting way to share your thoughts. • Be yourself. Do not duplicate or copy someone else’s content. If you don’t currently have a blog and are thinking of adding one, it can be easily done. Here are a few things you need to get started. • Theme: Determine the nature of the content that you would be sharing with your readers. This depends mainly on your business. Blogging topics about poetry, arts, current affairs or almost anything under the sun can be chosen. You can stick to one theme or you can choose to write about whatever concerns you on a day to day basis. Since it is your very own web journal, you can make it as flexible as possible in all aspects. • Nature of Blog: You must determine your audience, whether you want it to be read only by a select group or open to all. This will depend upon the content, mainly. • Blogging Circle: Blogging is a great way to come in touch with people from across the globe. 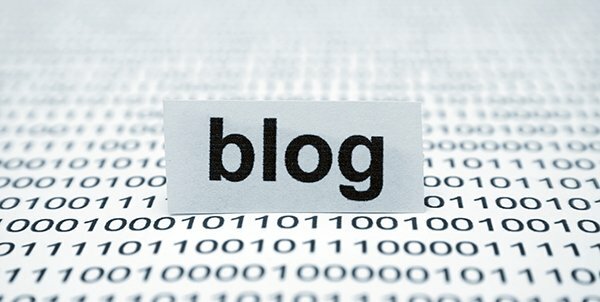 When visiting other blogs, do not spam in their comment section, but write genuine comments if you have something to say about a particular post. • Publish: The next step is to publish your content. Do not forget to send the link to your friends and acquaintances so that they can come visit your post. Once your blog is up and running you’ll need to maintain it. Below are a few tips that will help you successfully keep your blog going. • Update: Update frequently otherwise visitors may stop coming to your blog. • Personalize: Even though you might be discussing general and universal topics, add your own personal touch to make things lighter and interesting. • Spelling and Grammar: Make sure you proofread your posts. Spelling and grammatical errors can be a major turn-off for many readers. • Advertisements: You could play host to sites like Google AdSense and earn revenue by placing their links on your blog. Need help on blog topics? Download our Big List Of Blog Ideas. Need help setting up your blog or getting started? Dara’s Design can help. Contact us today.